Roles of Vijay Raaz that prove his finest art of acting like no other! Unlike typical Bollywood films, this film is different in its own way. The film carries sub-plots which keeps the audience intact to the film. In Monsoon Wedding, Vijay Raaz portrayed the role of a wedding planner who falls in love for a Christian girl. It shows the wedding which left everyone elated. He played a complex character so beautifully that the viewers got hooked to his side story equally. In the Abhishek Bachchan and Bhumika Chawla starrer film, Vijay appeared for a small role but till now, he is remembered for that role especially for his Kauwa Biryani scene. I doubt there’s hardly a person who isn’t aware of this particular scene. Most of us, still laugh our hearts out watching the snippets of Vijay Raaz’s scenes over and over again. He might not have the conventional look of a hero but he sure knows how to hold our attention with his impeccable comic timing. Vijay Raaz played the role of Akshay Kumar’s best friend in the film. Though he didn’t get much to play he managed to outshine in the allotted given screen. 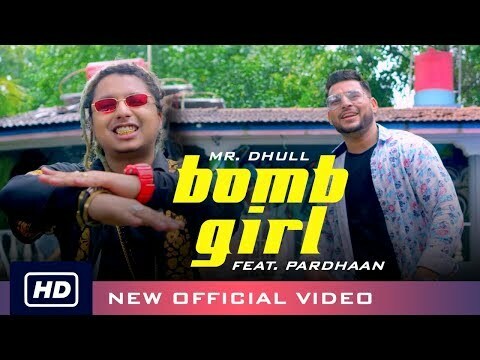 Remember that scene, when the duo was trying to track Rimi Sen and Akshay Kumar gave him the responsibility to fix a mic? It was hard not to laugh at his silliness, right? Well, Vijay Raaz does that to you. His expressions are enough to leave people in splits. In this Akshay Kumar’s film, he played the role of his punter. He played a fake whimsical director who takes it upon himself to keep Uday Shetty busy so that he can’t commit crimes. He tries his best to engage Nana Patekar and his thugs but in the end, loses his cool and gets thrashed up by Majnu Bhai. Not a big role, but this sure added a lot of flavor to this film. His scene was too hilarious to control the laugh. Talking about Dhamal and forget the ending scene of the film isn’t possible. Vijay Raaz was extraordinary in giving direction to the plane. this movie became a tad bit more funny, courtesy Raaz. Playing an emergency service executive, he added spice to the film with his eccentric way of tackling the landing of Boman and his Father Nari’s plane. So much so, that till date, several memes are made on that particular scene in the film when he guides or misguides them on how to land the plane. 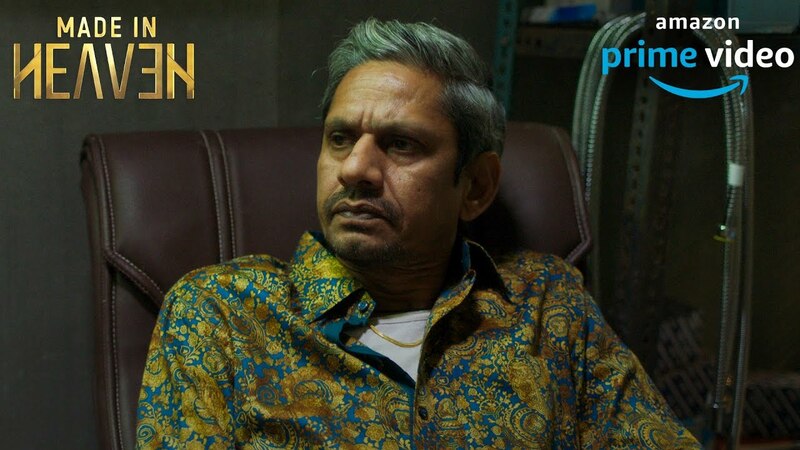 In this web series, Vijay Raaz is playing the role of a small moneylender who doesn’t get intimidated in front of large scale investors. In the scene during the annual meeting where Jim Sarbh – the main investor, is making his point, he did not feel intimidated. Instead, he made his point when he said that – do chaar English ke shab bolne se aap ache vyapari Nahi ban jate! Don’t know about you but for once I had a slow clap moment right then and there! With this role, the actor takes you to another laughter ride. He played the role of a man who continuously gets failed in committing suicide. Just like his Kauwa Biryani gig, in this movie, he played a guy who attempted to kill himself several times but in doing so, he ended up creating difficult situations around him. What’s more, he is unsuccessful in committing suicide, every. single.time. He appeared in the role of Don Somyajulu whose anger gives a laughter ride. this movie became a tad bit more funny, courtesy Raaz. the guy who gets diamonds smuggled and then delivered to himself through a Russian guy called Vladimir. His anger was so hilarious that more than terrifying the audience, it ended up making them laugh their hearts out. It was his character Shastri, the author of the book O Stree Kal Aana that ends up solving the mystery of Stree’s spirit. It was him, who also delivered a very important message that Stree only desires love and respect and it is haunting the village only because she is in search of these two things. One thing that really needs to be said, is the fact, that Raaz has a very unique way of selecting roles. Despite some of them being really small, he has always made sure that they are significant and not frivolous. In the film, he was seen in an important role of a helpless father of two daughters who is trying to realize his daughters to live together. His acting of a helpless father who is tired of trying to reason with his two daughters was so on point that we couldn’t help but feel for him during the entire film. In the end, it was Raaz alone who not only reunited his two daughters but also made them realize that they can’t ever live happily without each other. 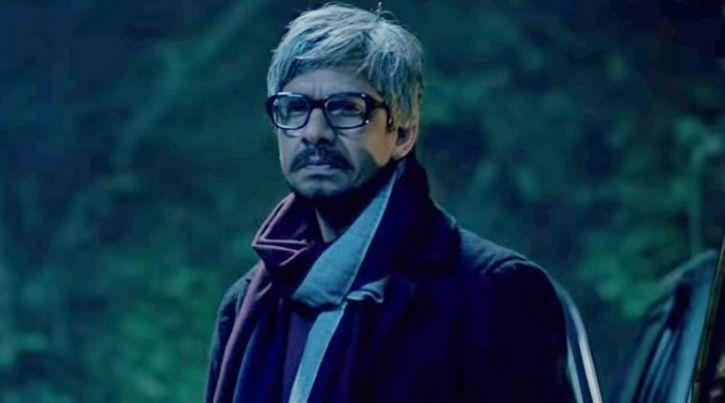 In the film, Vijay Raaz played the role of Ranveer Singh’s abusive father. His transformation from an orthodox father to a proud father makes his role memorable and left a lot of people teary-eyed. Especially, the climax scene. In the role of the coach of Indian Hockey player, the actor worked great. Again, his screen time wasn’t much but with one dialogue he left the audiences whistling and cheering for him endlessly. It goes like this – Bihari Hain hum, thook ke matha mein chedd Kar denge. He once again proved that you don’t require a robust or muscular body to throw your weight over someone, all it takes is intensity and powerful dialogue delivery! 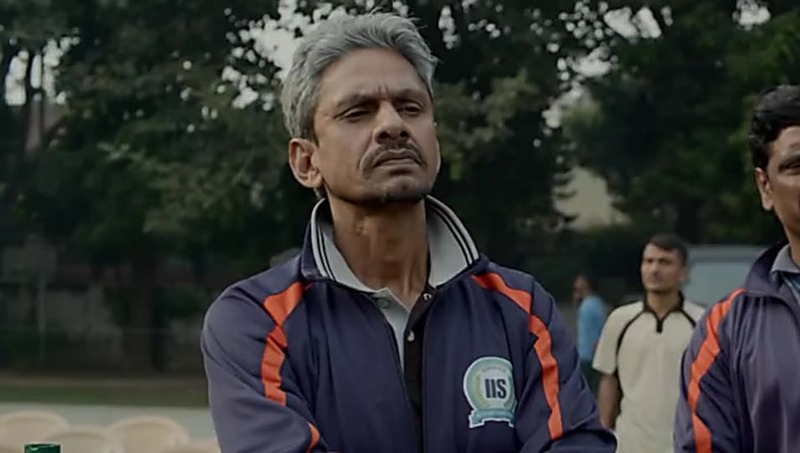 Vijay Raaz has been proving that you don’t need a muscular body to prove your talent.